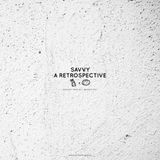 Emcee /Producer Savvy aka Asaviour has single handily cemented himself as one of the most talented artists within this countries Hip Hop scene today. Savvy has built a solid receptive following since his emergence onto the Hip-Hop scene. His fresh original approach to lyrics, production, twist on content and how its delivered sets him apart from most of his more traditional counterparts. His seminal work with one of UK Hip Hop’s leading figures Jehst and creation of some of the his biggest Albums & singles to date carved has him a formidable reputation. His expansion continued body of work shows again the immense Artistic vision and growth which has allowed him to work with artists like Athlete, Jehst, Stac, Akira Kiteshi, Totally Enormous Extinct Dinosaurs , Tape the Radio, and Bloc Party to name a few.